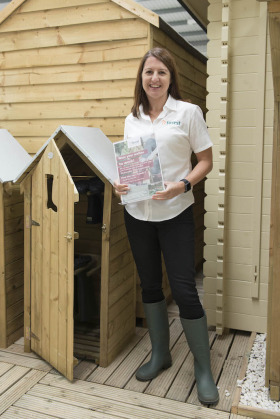 Employees at Forest Garden have exchanged their work shoes for welly boots today (September 20) to help raise money for the gardening charity Thrive. “We are delighted to be involved - it’s a simple, fun idea and one that we hope will help Thrive raise lots of money,” said head of marketing Nicola Simpson. donated one of its new Boot Stores for Thrive to use as a competition prize, especially painted for this fundraising event. Since 1978 Thrive has been helping change the lives through gardening for people living with disabilities or ill health. The charity supports them with gardening projects at home, on allotments, in community settings and gives them the opportunity to attend structured horticultural therapy programmes at its own gardens in London, Reading and Birmingham.